Sarah Petkus with staff and students at TU Delft. 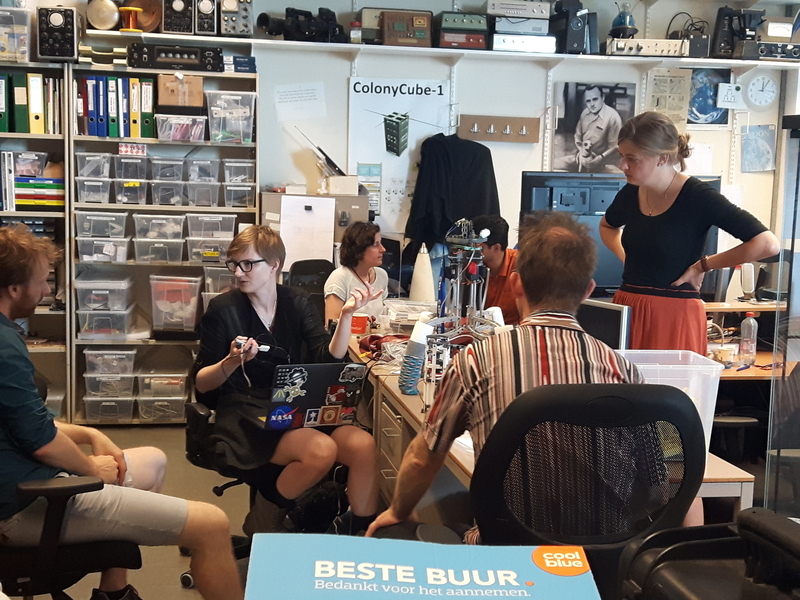 During this visit Sarah met with Edwin Hakkennes, Maneesh Kumar Verma, Lisanne Kesselaar, Samuel Albert, and Floris Rouwen to discuss many aspects of creating robots. This team is currently working on the Zebro – an autonomous robot model, designed for education and research to study and develop novel control methodologies for complex robot platforms. The visit was facilitated by Ilona van den Brink.